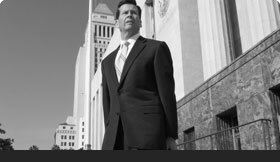 Americas Smelting and Refining Corporation (Asarco): Greg currently serves Asarco as its primary outside litigation counsel on environmental cases and claims throughout the United States. Greg successfully led Asarco Incorporated through the largest environmental reorganization in United States history. Asarco is one of the largest copper mining companies in the world. Nike: Greg has successfully represented Nike in several high-profile cases where a negative outcome could impact the Nike brand adversely. Each case was dismissed or judgment was entered in Nike’s favor. Nike is the world’s largest athletic apparel company. 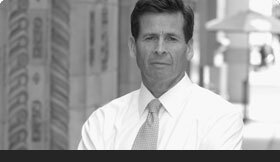 The Sherwin-Williams Company: Mr. Evans obtained numerous dismissals of civil complaints and the termination of grand jury proceedings against Sherwin-Williams for alleged environmental law violations. The Sherwin-Williams Company is the world’s largest paint and coating manufacturer. Zuffa’s Ultimate Fighting Championship UFC: Gregory Evans has represented UFC in a variety of cases including a major worldwide DVD distribution dispute. Greg represented UFC successfully in all aspects of litigation and dispute resolution surrounding UFC’s acquisition of Japan’s Pride Fighting Championships.